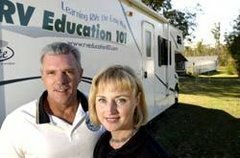 RV 101® Education with Mark Polk: Finally a Towing Standard on the Horizon! Finally a Towing Standard on the Horizon! What is J2807 and why is it important? If you haven’t heard, SAE J2807 is a standard that will be used to determine the trailer weight rating of all tow vehicles. I don’t always agree with mandated standards, government or otherwise, but there is one standard looming out there that I am highly in favor of. That standard is called “Performance Requirements for Determining Tow Vehicle Gross Combination Weight Ratings and Trailer Weight Ratings,” or in shorter terms Society of Engineers (SAE) standard J2807. I do have to applaud manufacturers for getting behind and supporting a standard for measuring tow ratings for vehicles. I have always had a problem with vehicle manufacturer published tow ratings, and even more so in the truck wars of recent years. When a ½ truck is rated to tow more than its bigger ¾ ton brothers I start to see red flags popping up everywhere. 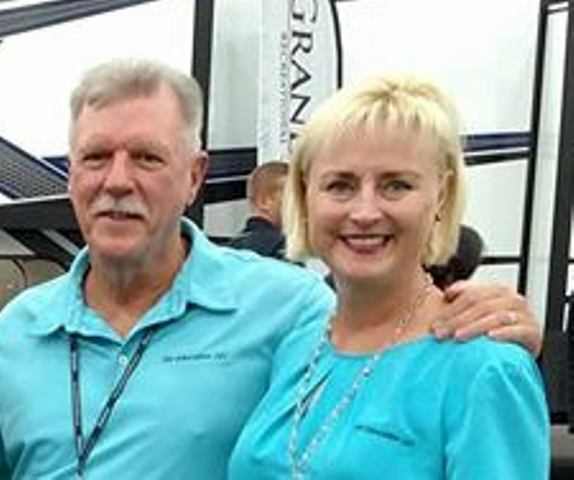 To bring you up to speed on this topic take a minute to read my first article titled “let’s Talk 1/2 Ton Trucks” that I wrote in 2007, and my follow-up article “2010 Let’s Talk 1/2 ton Trucks” which I wrote a couple of years later. In my humble opinion the towing truck wars have always been based on bragging rights. My truck can tow more than your truck. And in reality the method for determining those bragging rights was left up to the guy who was doing the bragging. On the other hand if you test against a specific standard you get results based on that standard, not just on some of the design elements built into the product being tested. In other words you get actual results and there is no bully on the block boasting I can tow more than you can. Now we know the real deal and the consumer wins in the end because you have a standard to compare and measure vehicles against. To give you an example of what occurs when you apply these new standards Toyota put its 2011 Tundra through the paces. The results were towing capacities dropping 400lbs, 500lbs and 1,100lbs for various models of the Tundra, over previously published capacities. I think it is notable for Toyota to step up to the plate and certify the Tundra against the new standards. It looks as though all of the other manufacturers are going to follow suit for model year 2013, including Chrysler, GM, Ford and Honda, and many trailer and hitch manufacturers as well. It will be interesting to see what happens to tow capacities when J2807 is implemented across the board. I would venture to say that many other ½ ton tow ratings and Gross Combined Weight Ratings (GCWR) will be lowered, but hey we’ll just have to wait and see. This J2807standard may not answer all of the questions we have or provide all of the information we want, but it’s long overdue that a standard be established for something as important as determining tow ratings. Now maybe the consumer will have some reliable information to base a decision on when deciding which vehicle can safely tow the load! 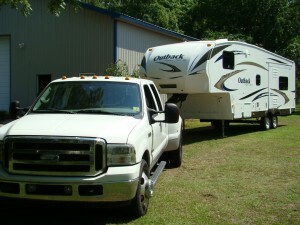 It sure beats the “my truck can tow more than your truck” mentality.